Swiss Exchange Pilots With The Usn? Exactly. who else to elarn from? I think this goes back to the F-5 I think. Swiss Viper, Venom, Hawker Hunter etc. pilots went to the UK for training. IIRC there was at least one swiss pilot flying MiGs in Russia in the nineties. The Swiss will have to build much larger lakes if they want to deploy CVNs. Swiss ingenuity. They just build smaller carriers. You never know when you'll have to counter French and/or Italian carrier air on Lake Geneva after all. Why on earth is that F-18 on a barge? Eventually, there will be surplus F-35Bs sitting around. I guess the Swiss took the term "ferrying aircraft" literally. Because it won't float. Obviously! To get to the other side. Obviously. They went ahead from where they left off, the Bachem Ba 349? Would not be the first time for a carrier to operate on a lake. "On her first day of service fifty-nine pilots became qualified within nine hours of operations, with each making eight takeoffs and landings. 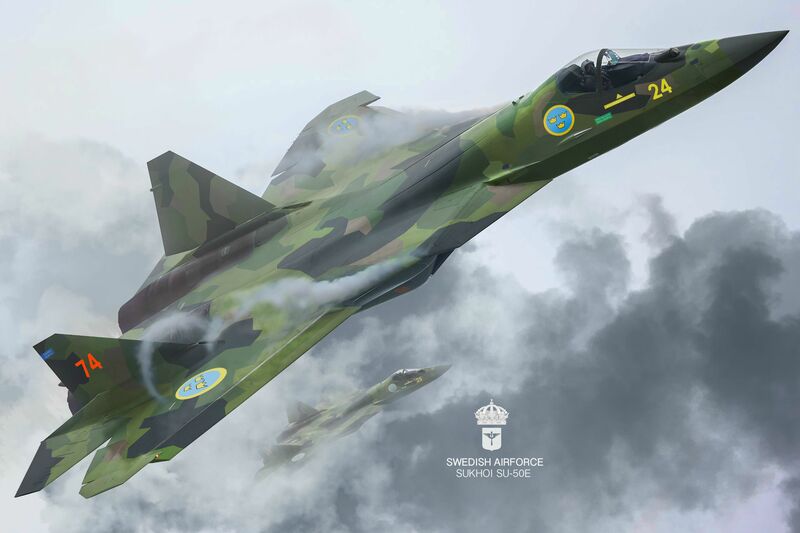 Pilot training was conducted seven days a week in all types of weather conditions. One aviator who trained upon the Sable was future president George H. W. Bush." 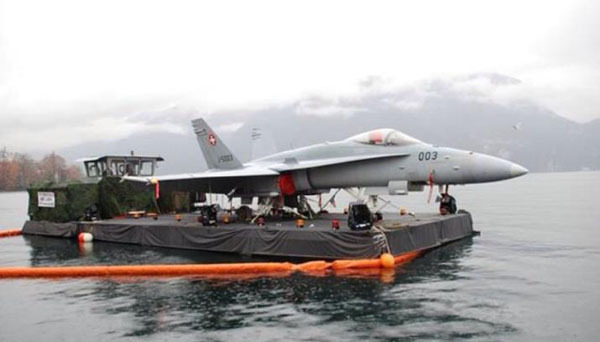 You have it around the wrong way: obvious to a sociologist: The F-18 in not on a barge. The barge is under an F-18. More importantly, why is the F-18 which has the barge under it, apparently armed? A quick search of Lake Geneva only shows one place from which an F-18, or anything else that is not a Harrier, would seem to be able to fly out of. Maybe the barge is under the F-18 because the the French would not let it fly over French airspace but were fine for it to be barged across the water? Or perhaps it is not on Lake Geneva, but is being delivered to the top secret Swiss Air Force base buried in a mountain somewhere? Edited by DougRichards, 08 December 2018 - 0128 AM. Which would make this Lake Lugano, not Lake Geneva. Which incidentally covers my quip about countering Italian carrier air; of course there is no Italian shore of Lake Geneva.